Castle Hill Crane Estate Real Weddings are always a delight to photograph. If you are a couple getting married here during warmer months, you’re probably crossing your fingers for excellent weather for an evening of dancing under the stars out on the patio overlooking the Grand Allée and ocean. 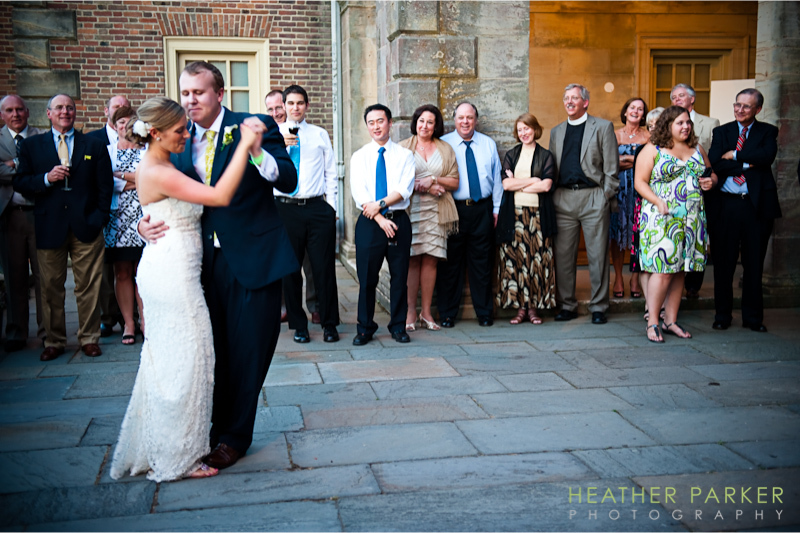 What’s so special about this first dance is that each of wedding guests are savoring the moment and watching with smiles rather than taking photos. Often, a circle forms around the newlyweds where I see no less than fifty little cameras or smartphones aimed at the couple. This was a joyous moment for everyone present that evening.